The Vikings have a need at the middle linebacker spot, and there’s a new MLB out there in former Bears LB Brian Urlacher. 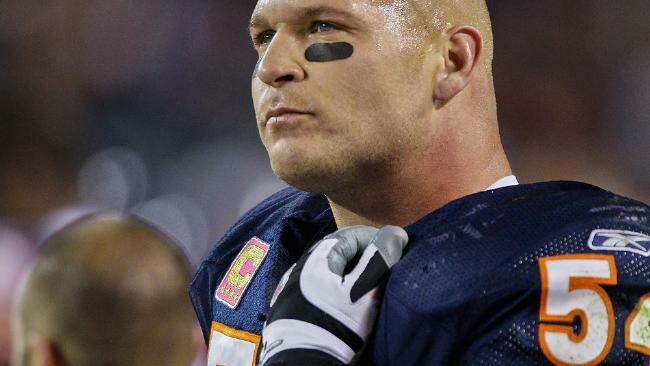 Urlacher won’t be back with Chicago after he rejected the Bears two-year contract offer. Urlacher reportedly is looking for a one-year deal between $3.5 to $4 million. Hell fire, they paid Greg Jennings 9 mil a year. Urlacher is just as good a player as Jennings is at their respective positions. They are both at relatively the same age. Why can’t they pay Urlacher 3.5 mil for one year? Does that put them too close to going over their cap or what? 29 and 34 are not relatively the same age (especially in the NFL). At the end of Jennings’ contract with the Vikings, he’ll be Urlacher’s age. I thought Jennings was a little older and Urlacher was a little younger…my bad. But even at 34, don’t you think Urlacher would have one more good year in him? After all, he is one of the greatest linebackers ever, don,t you agree? I found myself still looking for him to be the Viking’s nemesis each of the two times they played this past season. He’s still always around the ball, or involved in most plays in one way or another. Winfield is 35 and still ready to play. More than one player has played at 34. 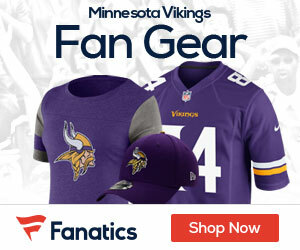 Do you believe that the Vikings would be better off going after a good prospect in the draft? They have a need at LB, but of course, they also have a need at DT and WR, and there are some good young ones at all three positions in the draft if most of them that the Vikings are looking at are gone by picks #23 and #25. I guess they could finagle a trade up with some other team to get who they want. What are your ideas?